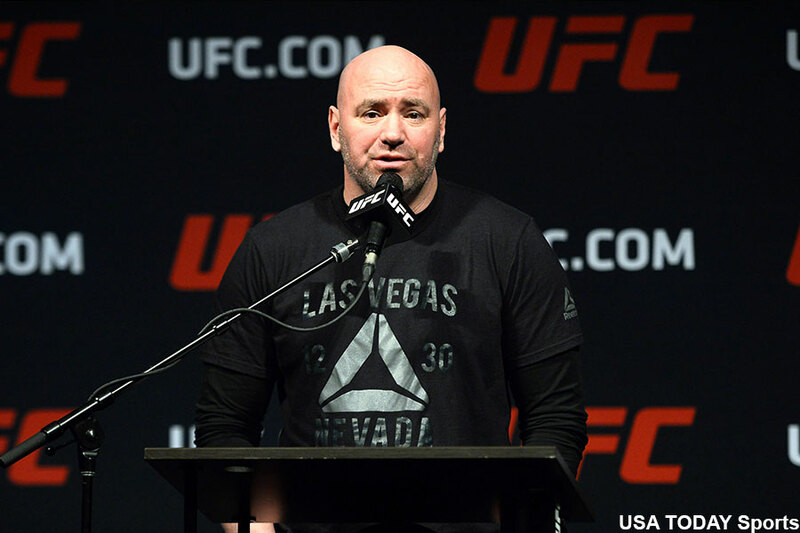 If your name isn’t Conor McGregor, you best not dare even think about asking UFC president Dana White (pictured) for a “money fight.” White said Friday that he is sick and tired of hearing his underpaid athletes demand “money fights” because there’s only one fighter on his roster worthy of scoring big paydays. “I’m getting tired of the term ‘money fights’,” White stated. “[Fighters say], ‘I want the money fights.’ What, are you all going to move down and fight Conor? Listen, there’s no bones about it, Conor is the guy. Conor brings in big gates, big pay-per-view numbers and everything else. Shut up if you don’t. Interestingly, the promotion is just three days removed from announcing the return of former UFC welterweight king Georges St-Pierre, who was the company’s biggest pay-per-view draw before McGregor swiped the reins. To say middleweight champ Michael Bisping wasn’t just gifted a “money fight” against St-Pierre would be inaccurate. Bisping revealed this week on “The MMA Hour” that he’s “never had a $1 million payday” during his 13-year MMA career. Well, after 27 UFC fights, the 38-year-old will finally score one. White later switched up his harsh stance just a bit. Instead of saying only McGregor has the right to demand life-changing checks, White said any fighter generating massive PPV buys for the promotion can also request big paydays. “Guys are talking about money fights and I’m like, You’re not a money fight. Okay? You’re not a money fight,'” White added. “You’re going to make whatever you’re going to make and if you’re a good champion and your fight sells, you’re going to do pay-per-views and you’re a partner in the pay-per-view. Now more than ever it’s in White’s best interest to watch the bottom line. After the UFC was sold to WME-IMG in July for an astonishing $4 billion, which White reportedly pocketed in the neighborhood of $350 million, White was given a new five-year contract where he’ll reportedly be paid 9 percent of the UFC’s annual profits. Therefore, shelling out less “money fight” paychecks to fighters who he deems unworthy equals more money in his already fat pockets.